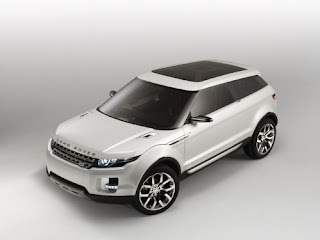 According to sources, Land Rover has confirmed that the Land Rover LRX Concept that debuted at the 2009 Detroit Auto Show in January has been approved for production as the 2011MY Range Rover. Built on the same platform as the Freelander, the Range Rover LRX would sit beneath the Range Rover Sport as the smallest, most compact model in the Range Rover family. Although the 2011 Ranger Rover LRX will feature 5 doors (as opposed to the Concept’s 2) and a slightly revised front bumper, the basic design elements of the LRX Concept will remain unchanged in the production version. In keeping with the Range Rover’s smaller, less-obtrusive theme, Land Rover Managing Director Phil Popham claims the 2011 Range Rover will be Land Rover’s “greenest” vehicle to date. At launch, Popham says the new Range Rover will produce under 150 g/km of CO2 emissions, which in terms of fuel-efficiency roughly translates to about 50 mpg. As research and development continues, Popham also hinted that a hybrid Range Rover could debut as well, cutting emissions even further to 120 g/km and boosting fuel consumption to around 60 mpg.